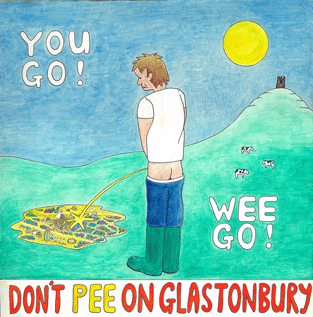 Click here to download Thursday’s issue of the Glastonbury Free Press. Today’s issue features a host of treats including exclusive interviews with Michael & Emily Eavis, astronaut Mike Massimino and former of Emerging Talent Competition, Declan McKenna. And click here to download Sunday’s issue, which contains another exclusive interview with Michael & Emily Eavis, plus Charli XCX being our agony aunt and pieces from across the Festival site. 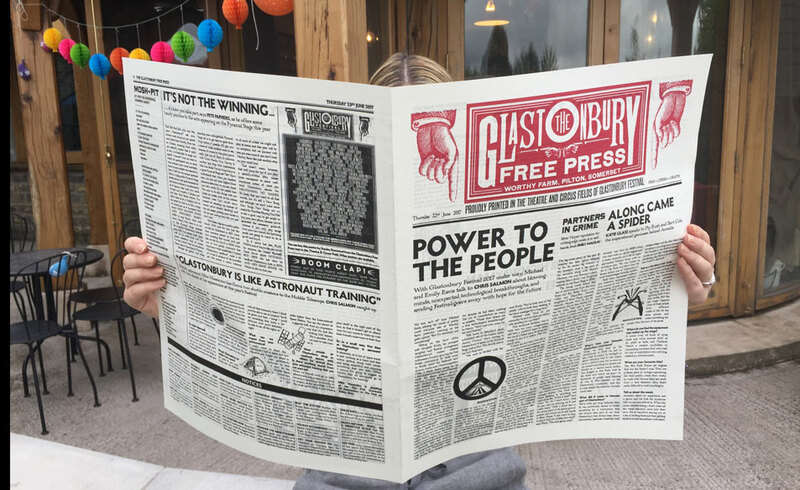 The Free Press is printed in the Theatre & Circus fields on a vintage Heidelberg press and is available now around the site. 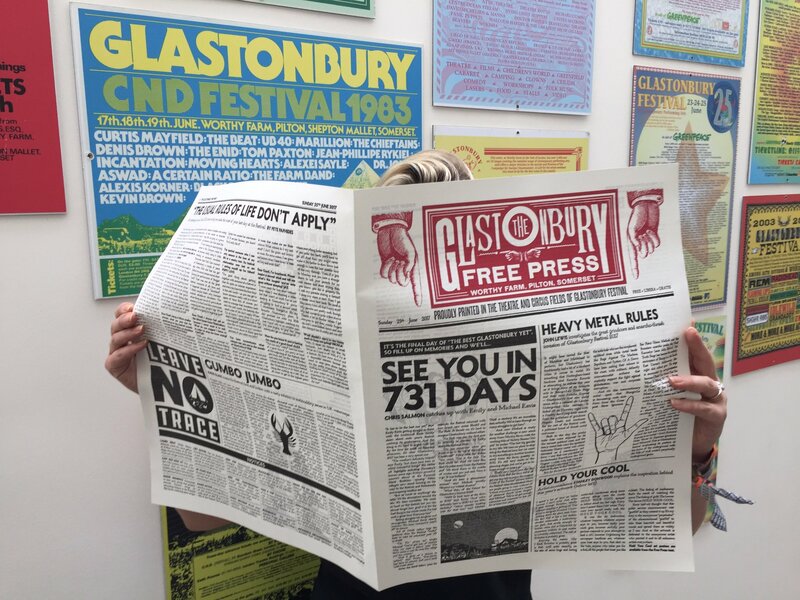 Plus, you can get it from the Free Press printing tent, in the Theatre & Circus fields, where you can also buy souvenir Free Press posters. Our thanks to the amazing Free Press team of writers, designers and printers.